This tutorial will give the basics on note production and sound techniques. Essential with any stringed instrument, mastery on understanding Indian musical theory, ragas, and talas is very essential. 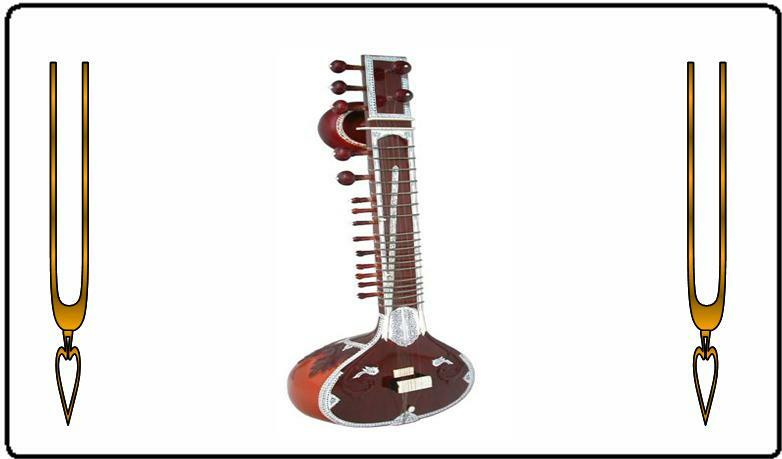 If one does not have the proper knowledge of Indian music theory or if one wishes to review, the KKSongs Hindustani music page is the best place to start. To aid us with our experience, links to sitar tutorial videos by Amie Maciszewski (www.sangeetmillennium.org) are posted here. These videos are very helpful in seeing and hearing the sounds and basic techniques of the sitar. Please note that the videos are not affiliated with KKSongs.org in any manner; they are not downloaded onto the KKSongs.org site. These videos were originally from www.expertvillage.com and posted by them on www.youtube.com.